I have SITE1 & SITE2 setup with a GRE connection between them. 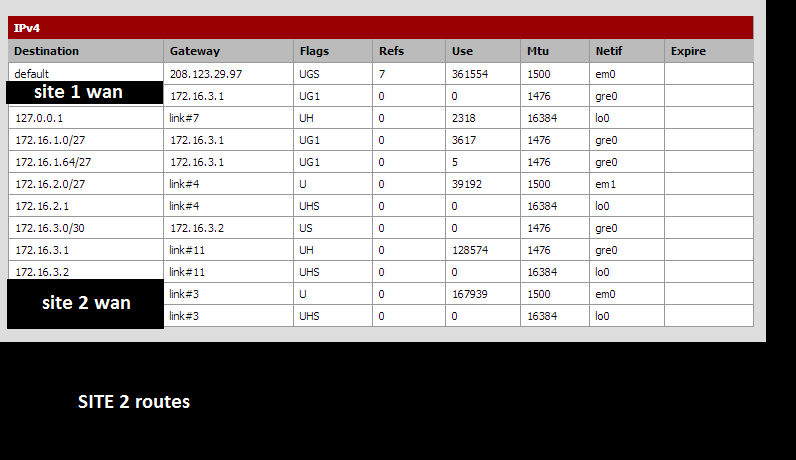 I am using OSPFd for routing to be able to reach remote subnets from each side. For the most part, connectivity is without issue. 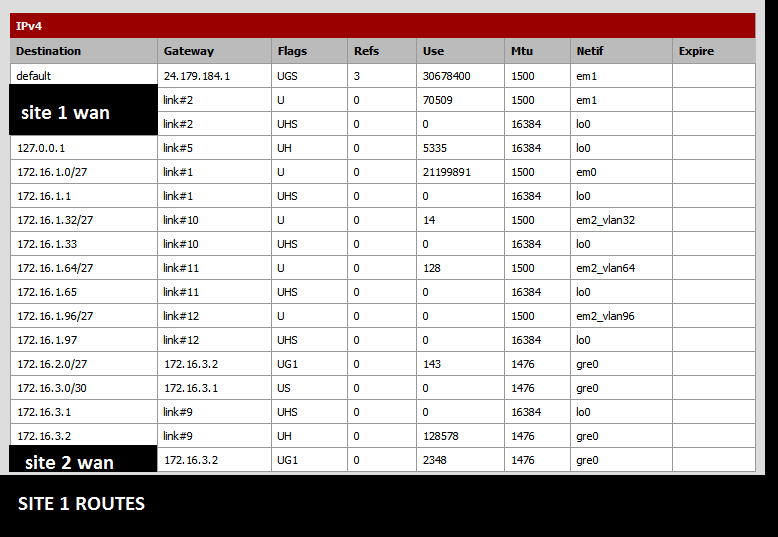 From SITE1 I am currently unable to ping hosts on the SITE2 LAN - I can ping them just fine from the SITE2 box but from the SITE1 box or LAN hosts they time out. I see them get through the firewall on SITE2, just no reply. Config between the boxes are nearly identical. 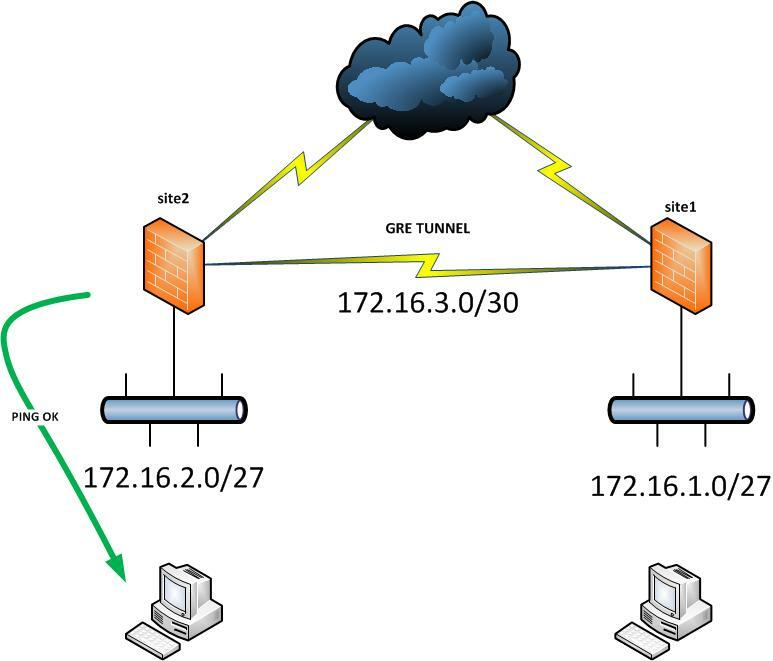 I have completely open firewalls on the LAN and the GRE tunnel interface for testing this.